Modern companies grow and shrink in numbers of staff with more turbulence than ever seen before, creating a widely spread problem in the accommodation of the office space. Modularity brings flexibility, and therefore is able to tackle a great deal of issues when it comes to the available office spaces. Many current office buildings seem unused for long periods of time, or are simply too small to facilitate the needs of quickly expanding organizations. With few options left, many companies decide to split into different locations, effectively decreasing efficiency within the organization in many ways. When facing difficult times like a recession, people tend to think creatively and often reconsider all options. The most recent recession has been an accelerator for the development of the usually looked down upon concept of prefabrication. Now that flexibility is very welcome, the concept has been improved, and modular office systems have been created to meet modern demands better than anything else. An amazing solution that has been embraced surprisingly well, has taken the building industry by storm. Now there’s a faster, more efficient way to deal with the construction many sorts of facilities, and it is proving to be a blessing for many. 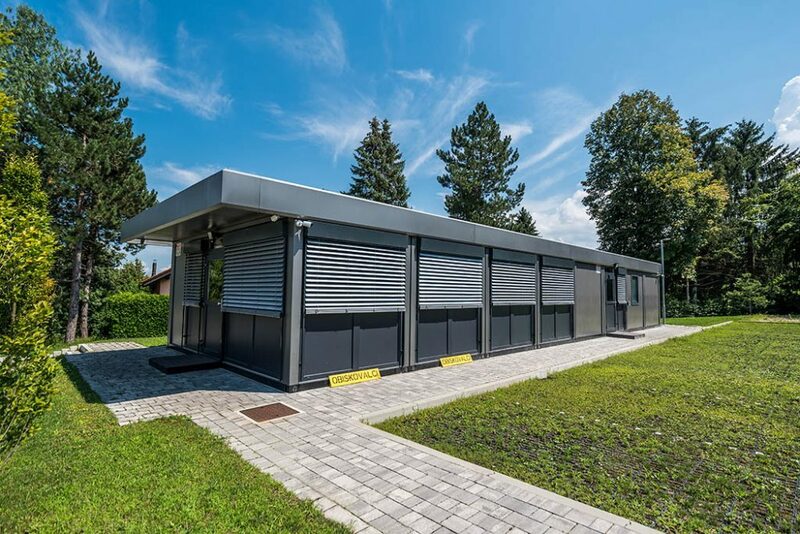 Modular building manufacturers are gaining market share, and continue to improve their concepts constantly at high rates now. Finding the right accommodation for the office has never been easy, especially before the times of modularity. Offering solutions that can be easily adapted, customized and built with high cost efficiency, this concept still has enormous potential. Many kinds of structures can be made with these modules, from vacation homes to hospitals, and from apartment blocks to kindergartens. The materials and structural components that are used in these systems, allow for flexible purposes. Completely changing the layout of the interior, increasing or decreasing the number and size of spaces was never so easy. No more expensive rebuilding or renovations are needed to completely change the layout or purpose of a structure. Almost like child’s play, the units can be put together, taken apart and repurposed, saving materials, environment and labour along the way for unseen levels of cost efficiency. Aside from saving costs, also the environment as well as the direct surroundings are alleviated of a large part of the intrusive factors like excessive noise levels, dust and traffic. With a more efficient plan of realization, and less components in total, the amount of traffic around a construction site is drastically reduced when compared to traditional types of buildings. The highly standardized factory process by which the components are made is super effective, in terms of labour and material usage. The structure can be completely prepared off site, making simultaneous preparation and building work possible, saving great deals of time. With simplified processes, the paper work might also be faster, making for a much shorter lead time overall. There is a good advice for any problem © 2019. All Rights Reserved.